WCM support the creation, management, distribution, publishing, and discovery of web information. It covers the complete lifecycle of the web Pages, from providing simple tools to create the content, through to publishing, and finally to archiving. The CMS also allows you to manage the structure of the site. That is, where the pages go, and how they are linked together. Many even offer simple drag-and-drop restructuring of the site, without breaking any links. Developing and maintaining a website is a difficult task for almost every business that doesn`t have an in-house web development department with expertise in Content Management Systems or even a few skilled CMS developers. But defective or out-dated information can cost a company in numerous ways. The finest solution you need for maintaining your corporate website will depend on the intensity and complexity of modifications in your CMS. HGS TECHNOLOGIES is a flexible, powerful and yet cost-effective, web-based user-friendly Content Management System (CMS) solution, a technological innovation to make your website dynamic and interactive, thereby enhancing your website`s impact. HGS TECHNOLOGIES is a strategic business tool that allows website stakeholders to easily maintain and manage their own websites effortlessly. HGS TECHNOLOGIES is a content management engine exclusively designed to maintain and organize your web content in a structured manner. 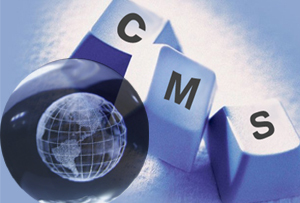 Our comprehensive CMS solutions allow you to manage website content without any hassle. With HGS TECHNOLOGIES, you can do whatever you require like updating, placing any images, content, videos and much more effortlessly without any technical skills.